Bones are living tissue which they rely on blood vessels to bring blood to keep them alive. If one blood vessel is damaged it may not cause problems, since there may be a backup blood supply coming in from a different direction. But certain joints of the body have only a few blood vessels that bring in blood. One of these joints is the hip. 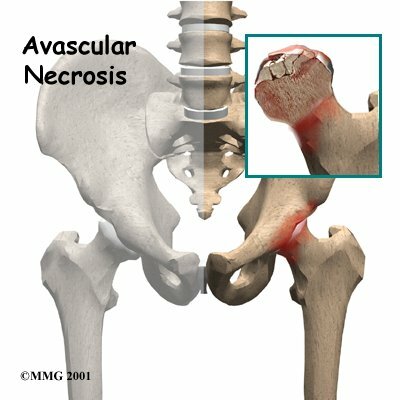 When the blood supply is damaged, it is called Avascular Necrosis (AVN) of the hip. Another name for this condition is Osteonecrosis.